City Life For Me – art. college. life. If urban living is what you’re after make sure to check out Massachusetts College of Art & Design. 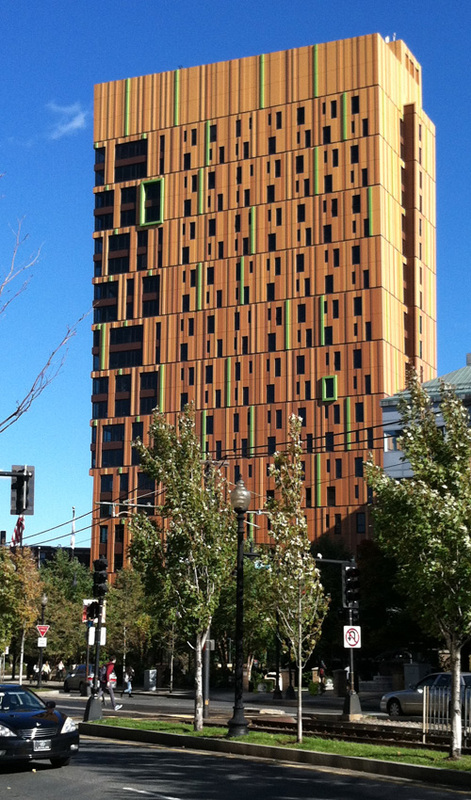 Located smack dab in the hubbub that is Boston, the school announces itself to its neighbors with a giant MassArt sign. You can’t miss it. I was lucky enough to visit MassArt on a beautiful autumn day. The school is comprised of a series of connected buildings, forming a giant square that takes up a city block (with green space in the middle). Three dorms are across the street; the newest is nicknamed “the treehouse.” According to admissions personnel Hilary Babick and Tiffany Sewell, the process for designing “the treehouse” was a collaborative effort that included input from current students. Under the guidance of Professor Paul Hajian students were involved with ADD Inc. architects and interior design staff to create a coherent design. The end result: functioning art in the real world. Freshmen are encouraged to live on campus, and they do. Approximately 72% of freshmen and foundation transfers live on campus. Part of college is creating relationships and community with your fellow students. If you can swing it – living together the first year will help build that community for you. The connection of buildings I referred to? They’re a great asset in the winter when you won’t want to venture outdoors to get to your next class. For peace of mind – for you as well as moms and dads – the enclosed square provides added security. MassArt is not an open campus; not just anyone can come in and wander around. Other bonuses: everything is at your doorstep. The green line stop is just steps from MassArt and can connect you to any place in the city, as well as to thousands of students attending some 50+ colleges and universities in the area. Hi Elaine! I’ve been at massart for over a year now and I love it! The entire atmosphere here is amazing! I’m currently living on the top floor of the Tree House and it’s absolutely amazing! I will never be able to have this view of boston again. Aslo the fashion dept is amazing without a doubt. All of the teachers are so inspiring and helpful and they really push you to achieve your best. I think this a great idea for a blog! Wish you the best, Masha.